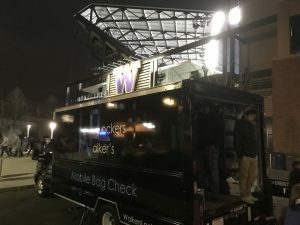 Husky Stadium adheres to the University’s Clear Bag Policy. Walker’s Lockers will be present at the Special Olympics USA Games to make it easy for spectators to securely check their items and enjoy the event worry-free. We carry Liability and Bailee’s insurance to protect your property while it is in our possession. 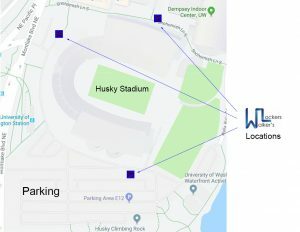 You will find our trucks in three locations surrounding Husky Stadium. Look for the Blue, Black, and White Walker’s Lockers trucks, banners, and logos. Our service opens 2 hours prior to the event’s start time and closes 1 hour after the event ends.